Expert Review of Hannukah Gelt by 0, one of our picks of the top Jewish books for kids! 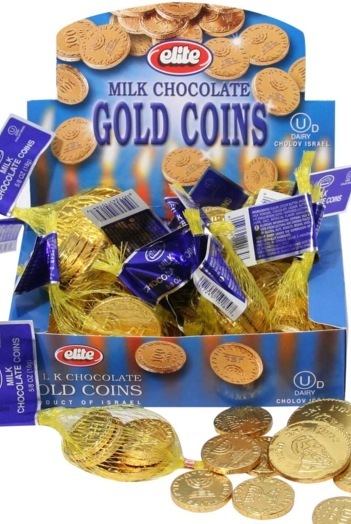 Mmmmm....Don’t know about you, but when we think of Hannukah, we think of chocolate... What’s Hannukah without chocolate gelt? We’ve selected a brand that will appeal to all Jews, including those who keep strictly kosher. Here is a wikipedia article on the history of gelt, and here is the best gelt video on youtube. Goldy says: "Parents need to get gelt because that's part of Channukah!"